Included with print purchase is a signed and matched number copy of Tom Everhart’s newest book (160 pages) Sleeping Beauties; The Have Mercy Paintings. A $125 value. 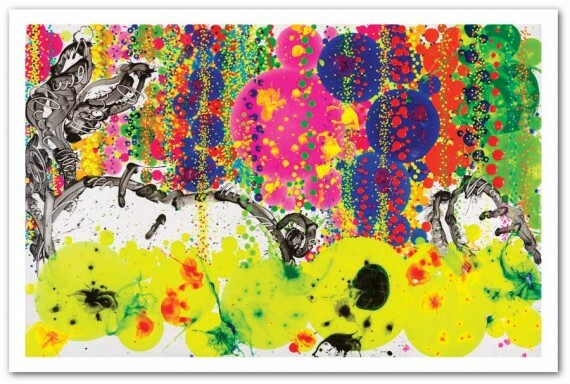 Signed by the artist Thomas Everhart. Contact for framing options! 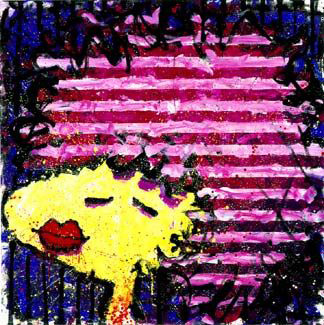 The Bubble Bath series by Thomas Everhart, use the appropriation of Sparky’s (Charles Schultz) characters as the visual object matter, and the titles, to camouflage the certain representations of some other bubbles. This sanctuary of one’s bubble provides a safe place that allows independent thinking and dreaming. The Sleeping Beauty combines the familiar Schulz imagery as a reminder, to the viewer, of how essential it was, to the bubble that Sparky and I shared, that the work was to be about something different, and a new way of seeing what he did. The authenticity, within that bubble, allowed me to understand that it’s not what people see that is art. Art is the invisible gap. So, making the invisible, visible, would inspire seeing other bubbles in this world through the Bubble Bath series. 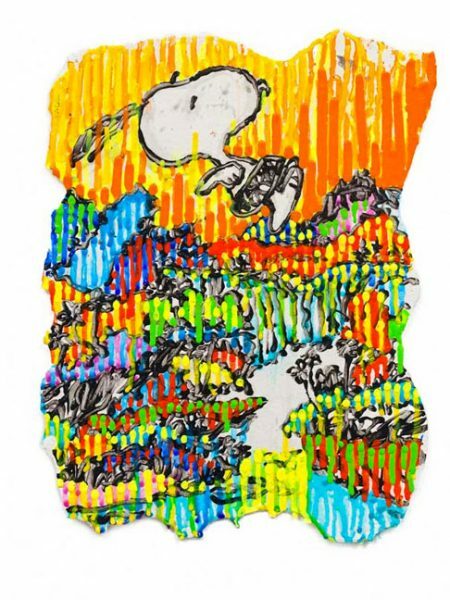 Tom Everhart is the only artist in the world licensed to utilize Charles Schulz’s Peanuts characters. Schulz never wanted to have an illustrator step into his shoes and continue to draw the Peanuts comic strip after he could no longer do so. 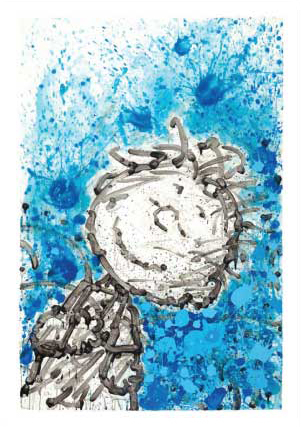 Peanuts was something very personal to him and he was determined to keep it that way. But when he saw the direction they were taking in Everhart’s paintings, he saw a future that he never could have anticipated. 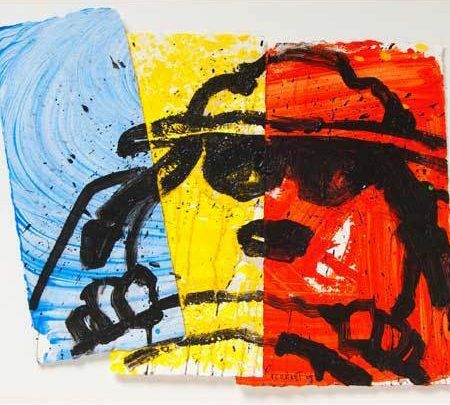 Tom’s new vision of Schulz’s creations has been exhibited in some of the largest museums around the world, including the Louvre, and has been collected by a very impressive list of collectors.